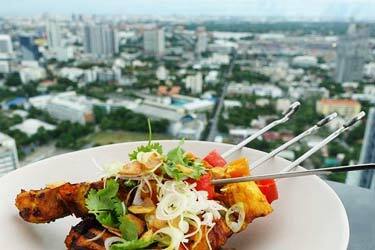 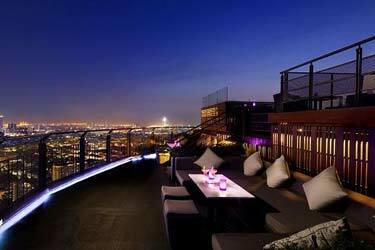 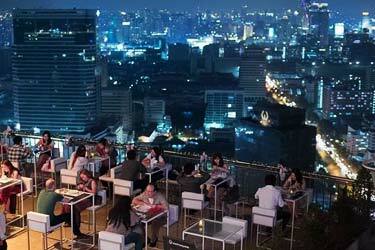 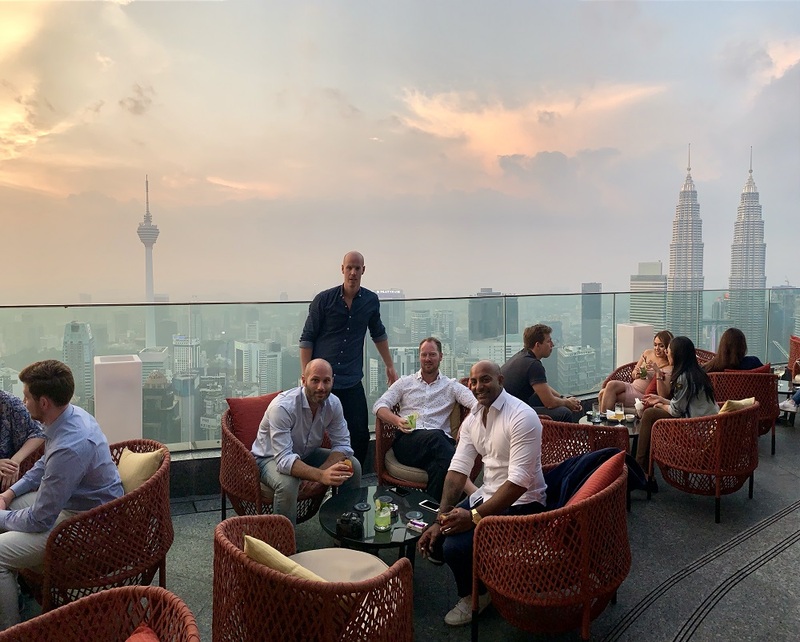 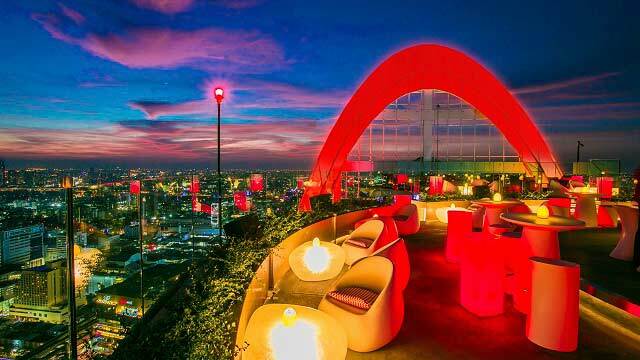 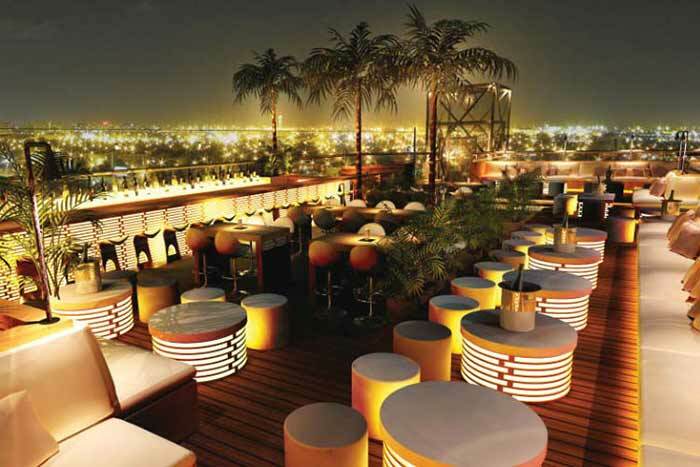 This rooftop bar in Bangkok is located at the luxurious hotel Sivatel Bangkok in the Sivatel Tower. 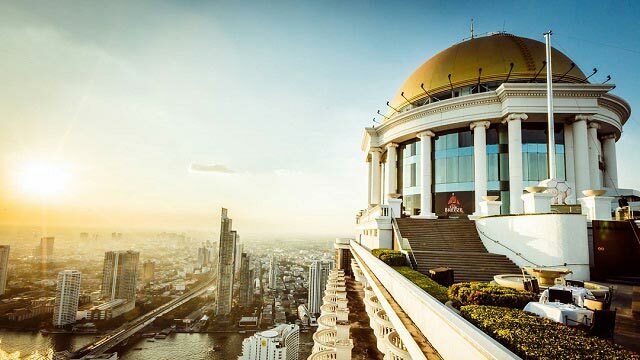 On the roof terrace, located on the 8th floor, there is a 22-meter infinity rooftop pool that has an absolutely magical view of the Bangkok skyline and rooftops. 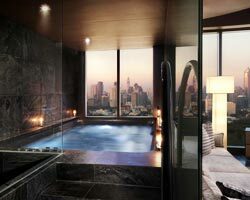 To enjoy the facilities you have to be a guest at the hotel. 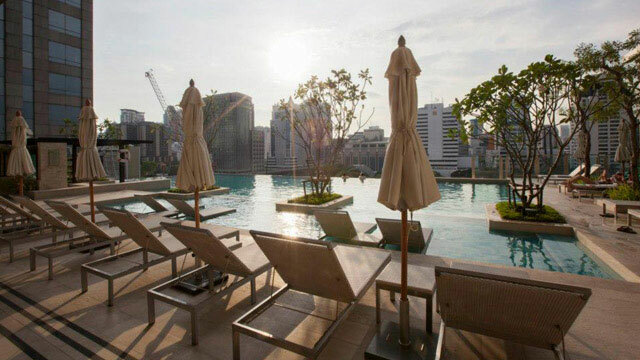 You can book your stay at the 5-star Sivatel Bangkok right here. 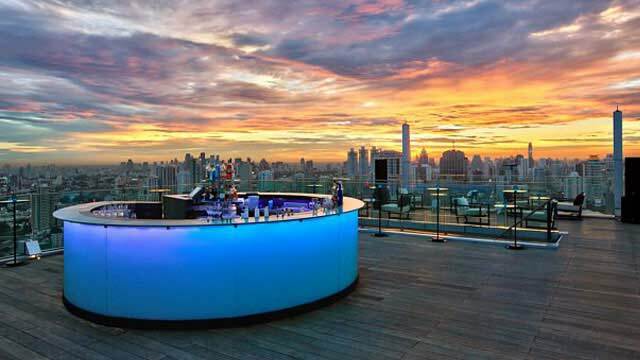 From the Sivatel rooftop bar, you can order delicious cocktails that you can enjoy in the pool while looking out over the magnificent views. 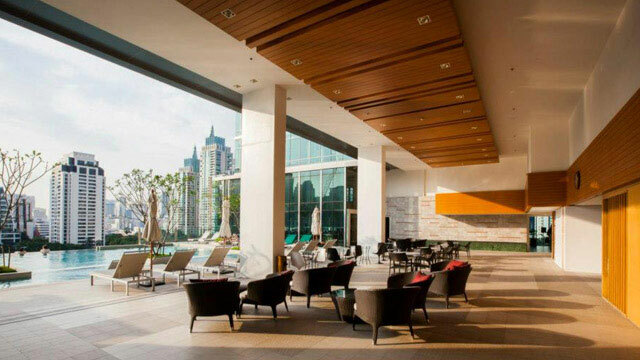 The interior of the roof is simple, modern and luxurious. 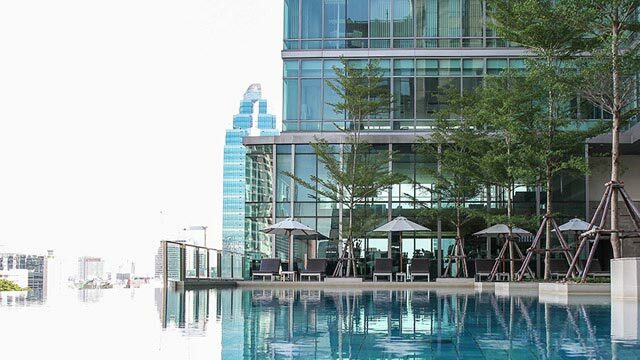 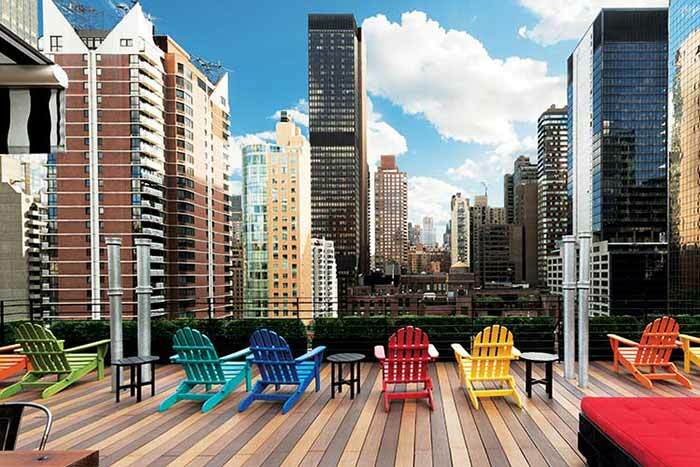 At the Sivatel rooftop pool, there are plenty of sun loungers and even common table and chairs for those who prefer it. 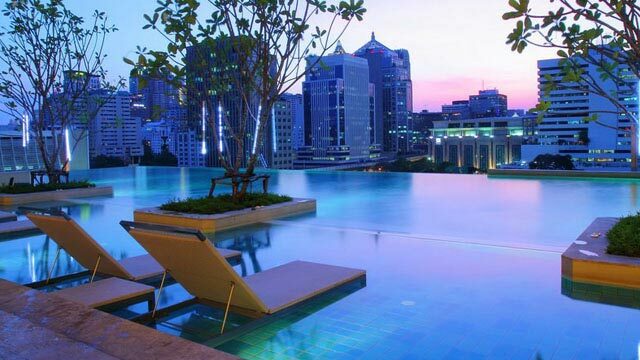 A really great rooftop pool in Bangkok if you like rooftop swimming pools that are peaceful and quiet. 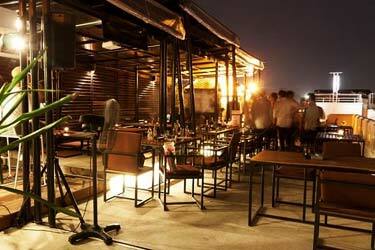 On this list you can find all the best ones.